Your bathroom is a place of comfort, where you go to get ready in the morning while you wake up from a good night’s sleep, or unwind at the end of the day with a hot shower or a nice soak in the tub. The lighting in your bathroom should provide a calm, serene atmosphere where you can see what you’re doing in front of the mirror, or where you can relax and enjoy a few minutes of peace and quiet. 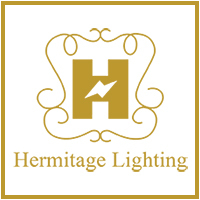 At Hermitage Lighting in Nashville, we have an outstanding assortment of bathroom light fixtures. A majority of your time in the bathroom is spent in front of the mirror, shaving, putting on makeup, and getting ready in the morning. 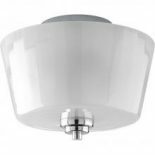 While the ceiling fixture should provide enough light for the entire space, you don’t want it to cast unflattering shadows on your face when you’re using the mirror. 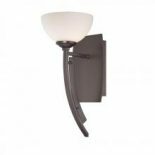 Wall lights, such as sconces and fixtures installed beside and above the mirror can provide the perfect task lighting for your morning routine. You don’t want your shower or tub area to be too dark, but you don’t want blinding light in there either. 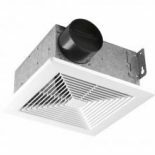 Recessed lights that are rated for damp locations are ideal, and putting them on a dimmer can help you set the proper level of lighting for your morning shower or your evening soak. 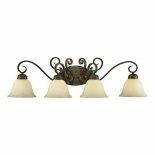 These lights will complement the general ceiling fixture, and help the bathroom not feel too dark or too small.